Pen Pals might seem like a concept of days past—now that Facebook friends have tried to take their place. 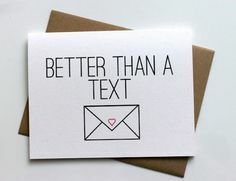 But the excitement of opening a handwritten card can’t be beaten by a friend request. If you want to connect the dots between your hometown and another time zone, you only have to look to the Internet for the first step. Then, find a pen and paper because potential pen pals like you are just around the corner. Whether you’re looking to practice a foreign language, make a new friend, or simply find your mailbox full of personalized, handwritten notes, there’s a site that will connect you with people like you. Get your stamp collection ready because it’s time to get writing! You know that thrill you get from a few likes on Instagram—even if you don’t want to admit it? 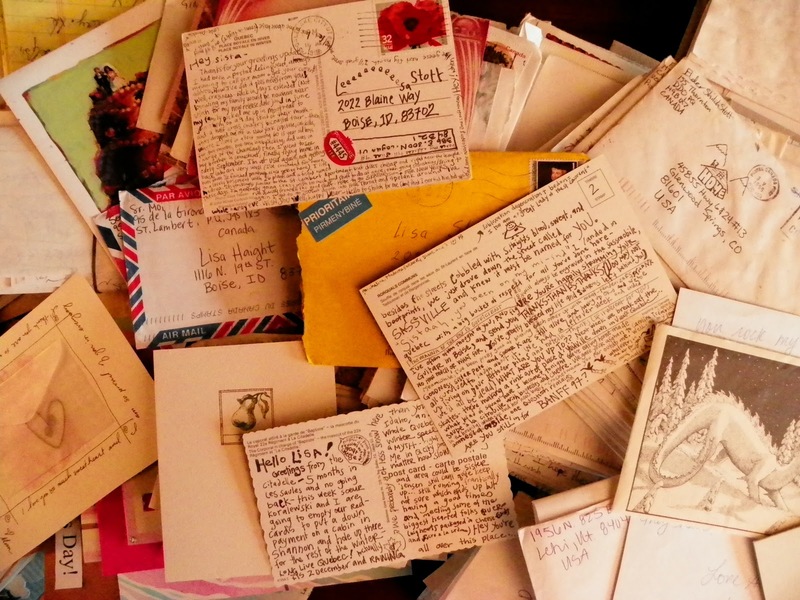 Think about opening your mailbox to find handwritten notes from people from around the world. And they’re writing to you! If you love gazing at images of far away places and exchanging sweet letters, then Postcrossing is a perfect fit for you. Postcrossing is a free postcard exchange program. 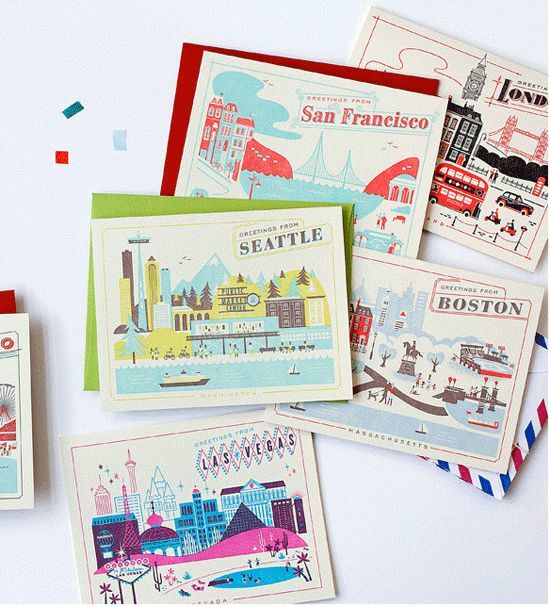 It’s ideal for travelers, daytrippers, and daydreamers who love to receive mail. (And 600,000 members have already signed up.) Here’s how it works: You create a free account, request an address, and send a postcard to the designated member. Then wait until you get one in return. Register your received postcard in the database, and then send another! There’s no telling how many miles the card will travel before it reaches your door, or who you’ll hear from. These postcards serve as a snapshot of another person’s life: a photo of a place they’ve visited paired with a few lines. 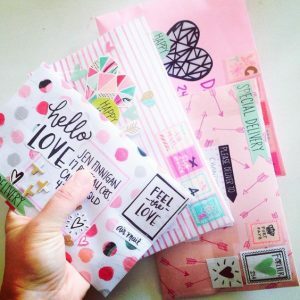 If you’re hesitant to commit to a strict pen pal relationship, then Postcrossing might be for you; the connection is so easy, it’s a no-brainer. The system works like a chain reaction: send a postcard, and you’ll receive a postcard. There’s no long-term commitment, and you can collect real, printed images from around the world—no Instagram account needed. If you’re an educator with a class begging for pen pals or a student hoping to join the letter writing movement, there’s an entire community specialized for you. Student Letter Exchange is a pen pal organization for members ages eight to 23. With over 80 years in operation, it’s a platform you can depend on, and offers by far the largest pool of student pen pals on the Internet. More than 500,000 students from 100 different countries sign up each year. The goal is largely educational: to expose students to other cultures, offer opportunities for second language development, and create connections between young people. Student Letter Exchange essentially makes the introduction, and then you and your new pen pal take it from there. Everyone on the database agrees to communicate in English. So it’s perfect for English language learners to practice their writing skills in a social way that totally beats a school essay. This secure platform comes with a price tag. But don’t freak out—it’s manageable. We’re only talking a few dollars. Package rates make it easy for classes, organizations, or groups of friends who share an interest in expanding their circle to pitch in. And members strengthen connections with every mail delivery. Letters Writers Alliance isn’t just a pen pal website. Actually, it’s not anything like an online chat platform at all. LWA is a creative, artsy community of writers with a single goal: to keep the art of letter writing alive. The effect is a true tight-knit network curated by founders Kathy and Donovan. The two women run the entire organization—no volunteer mediators or interns involved. With over 11,000 members, it’s smaller than other platform-based pen pal matching sites, but still popular enough to truly expand your circle of friends. There are no tricky member fees; a lifetime membership costs only five dollars. It’s one charge, and you’re a part of the alliance forever. To further the founders’ commitment to preserving tangible correspondence in this day of “instantaneous communication,” LWA also hosts in-person and online events for letter writing and mail art so that like-minded people can get together and create together. The organization also sells vintage postal products like stamps and stationary on their website. Looking for a friend just like you in another corner of the world? International Pen Friends I will match you with 14 peers—members of similar ages and shared interests. Then the pen pal relationship is in your hands. Write friendly first letters to your list of matches, and see who writes back again and again. Fourteen people might seem like a lot. But with this starter list, you have a chance to see who clicks with you, and who you’ll want to keep in contact with. IPF is an official pen pal matching site with over 60 years in the business. More than 1.5 million people have started pen pal correspondence through this trustworthy network. Of course, this level of security and reputation comes with a higher charge. Individual rates start at 25 dollars. With 8 membership options based on pair or group rates, and individual categories based on age range, IPF has a setting for everyone. The site even offers school class services for educators looking to match an entire classroom with pen pals. Members currently range from age 8 to over 80, but there’s no age requirement or cutoff. And after your membership expires, you can still stay in contact with your pen pals. Although the site sets up connections for handwritten correspondence, you can fill out a membership form online or by mail. Have you already backpacked around the world, or are you saving up for that first big international trip? If you’re looking for potential travel friends and language practice partners, then this is the site for you. Although Interpals began in the 1990s as a site for email and postal pen pals, it focuses on online chat today. And language practice is one of its highlights. Students of Spanish, Chinese, French, German, Japanese, and Russian language can find native speakers on Interpals who are excited to exchange messages online. Interpals is free, with no membership fees. It’s funded by ads and donations instead, and is managed by volunteer moderators. The downside is that pop-up ads aren’t uncommon. But you can easily block these in your browser so that your conversations are never interrupted. As with any Internet site, be careful of what you place in your profile. It’s best to keep all conversations with Interpals friends restricted to online chats on the platform, rather than sharing personal contact information. Complete your profile with a few of your interests and hobbies, and never your home address. When you’re new to the site, there’s a limit to the number of new pen pals you can contact daily. However, this number doesn’t include pals who contact you first. And as you use the platform more and more, this daily limit changes, allowing you to talk to more people. Sign up—it takes just a few minutes—and get chatting with your new pals from around the world. Snail Mail is all about creative, personalized letters. The site encourages letter writers to upload photos of their cards, envelopes, and stationary in all their colorful, textured glory. Scrap-bookers and crafters will love this pen pal exchange program. With a pool of 3,000 members, the opportunity to share your creative spirit is truly endless. 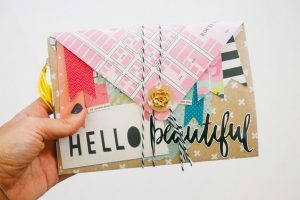 If you love to work with paper and can’t get enough of ribbon trimmings, glitter, and collages, then Snail Mail Pen Pals is the site for you. Register for free, complete a profile and add friends. You can upload photos of your handmaid mail, and then exchange addresses so that you can share handmade art with your new pals. 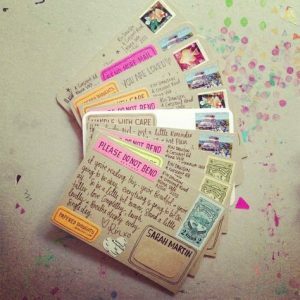 Do you love to send and receive mail, but feel hesitant to commit to a long-term pen pal correspondence? Rather than navigating long-term correspondence with a single pal, Postcard Hub works to ensure that member receives a variety of postcards from many people all over the world. It’s ideal for postcard collectors and travelers who want to share snapshots of their idyllic vacation spots with other enthusiasts. Over 100 countries are represented in the Postcard Hub community. Memberships are totally free, and come with perks for long-time users. All you have to do is sign up, request and receive a postal address, and mail a postcard labeled with the official Postcard ID. Give it a few days, then check online to see when your new pal has received the postcard and logged it on the site. Although you’re bound to receive postcards in return, the setup is much more about giving than receiving. 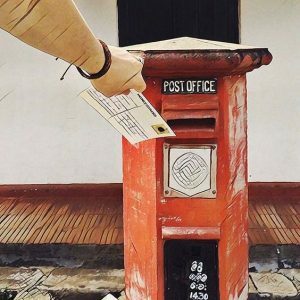 Share your favorite postcards with strangers around the world, and before you know it, you’ll be part of this global community. Fashion Writer & enthusiast of all things "beauty". In addition I love writing about guys, love, dating tips and advice for girls.